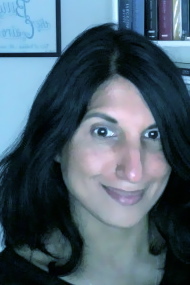 The blogger knows as Jongleuse chooses her Top 10 books. Simply one of the most beautiful, heartbreaking books in any genre I’ve ever read. 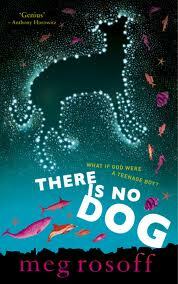 Julie Bertagna has deservedly cropped up on many best of YA lists. Her post-global warming trilogy spanning generations and continents, as well as being exquisitely written, is a great adventure story. Prequel to Skellig, but not like any other prequel you’ve read. Anything and everything by David Almond is worth reading. How I live Now is Meg’s best-known book, but I loved this quirky tale of a teenage boy playing God, delivered, as usual, in Meg’s precise, beautiful prose. What to say about Sir Terry? If you’re a fan of fantasy, humour and metaphysics in equal quantities, the Tiffany Aching series is a brilliant place to start, although most of his output is eminently YA suitable anyway. This one really pushed the boundaries of historical fiction, away from bodice-rippers to something darker and more thought provoking. Brooks’ writing is taut and clever. Being (only just) old enough to remember punk first time round I loved this book about a teen punk rock star and her involvement with a young man who has a troubled past. Anything by Brooks is worth reading, however. 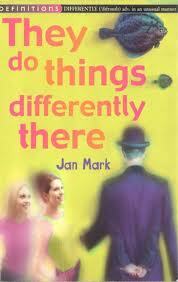 Jan Mark is not much read these days (sadly I think this one’s out of print) but she was outrageously talented. This story of two girls who invent an alternative world (Stalemate) in their boring New Town is brilliantly original. Not marketed a YA but older teens would adore this weird, heady fantasy with heavy literary pretensions. I love the idea of the Alex awards in the USA where non-YA books are rewarded for being great teen reads. Categories: Top Tens | Tags: Anthony McGowan, Celia Rees, David Almond, Jan Mark, Julie Bertagna, Kevin Brooks, Meg Rosoff, Scarlett Thomas, Siobhan Dowd, Terry Pratchett | Permalink. Author Zoe Marriott chooses her Top 10 favourite UKYA books. HEXWOOD by Diana Wynne Jones. I give this book my highest accolade, which is that every time I’ve read it (nearly ten times at last count) I’ve learned something new. It’s a mind-bending mixture of science fiction and fantasy, mystery and folklore, contemporary adventures and dream logic. Like all of the late great Diana Wynne Jones’ work, it is brilliant. 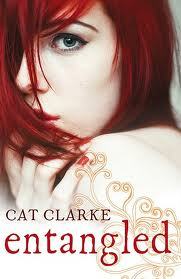 ENTANGLED by Cat Clarke. Utterly unputdownable, and kept me guessing to the last. The main character, Grace, is one of the most complex, interesting and realistic contemporary teen characters I’ve ever read. Not for the faint of heart, this book made me want to curl into the fetal position at times, but in the end it was totally worth it. CHALICE by Robin McKinley. I know Ms McKinley used to live in the U.S. but she’s married to the writer Peter Dickinson now and lives in the UK. This book was written in the UK. So I claim it as British! It’s one of my favourite comfort reads. The way Robin McKinley uses language still leaves me spellbound twenty years after I first opened one of her books, and I hope it always will. 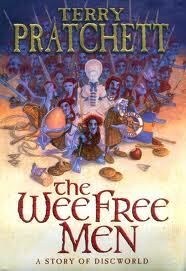 THE WEE FREE MEN by Terry Pratchett. If you don’t love Tiffany Aching and her heavy iron frying pan (years before Tangled was made, I might add) I’m not sure we can be friends. 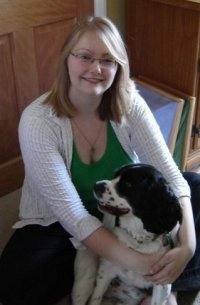 Hilarious, moving, terrifying and wonderful, all of the Tiffany Aching books are must read. JESSIE HEARTS NYC by Keris Stainton. This book is a complete antidote to angsty-grim-dark stuff about vampires and is another perfect comfort read. An enchanting love story that deals with fate, and choices, and parental relationships, and which uses New York like the starry faraway kingdom of a fairytale. Adorable. 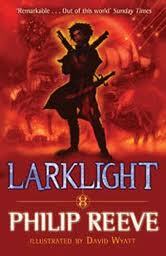 LARKLIGHT by Philip Reeve. Having read this writer’s darker stuff (like the wonderful but very grim HERE LIES ARTHUR) I was completely taken by surprise by the insane, laugh-out-loud, penny dreadful glory of LARKLIGHT. I got into the bath with it intending to read one page, and didn’t leave until the book was finished and I was all white and wrinkled like a cave fish. True story. FLY BY NIGHT by Francis Hardinge. I can still remember one of my friends exploding with excitement about this book, giving me this incredibly confused description of the whole thing and finishing with: and there’s a goose called Saracen who is the heroine’s best friend and bodyguard. Um… sold! THE WINDSINGER by William Nicholson. I get such bittersweet feelings when I think about this book, because it’s the first of a wonderful trilogy that had me almost on my knees by the end. The author creates the most wonderful characters and then tests them to their absolute limits. You never know what will happen next, and no one is ever all or only what they appear to be. HOW I LIVE NOW by Meg Rosoff. Another book by a U.S. transplant to British soil. Try to pry this book away from me on the grounds of Patriotism and there will be blood, I tell you. This is one of those stories that leaves you feeling subtly but profoundly changed by the end. 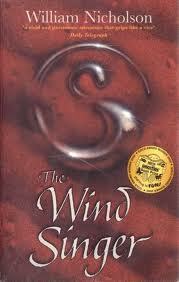 Romantic, ugly, magical and tragic, this is one of my all time favourite YA novels. Categories: Top Tens | Tags: Cat Clarke, Diana Wynne Jones. N M Browne, Francis Hardinge, Keris Stainton, Meg Rosoff, Philip Reeve, Robin McKinley, Terry Pratchett, William Nicholson, Zoe Marriott | Permalink.